Registration fees must be paid upon acceptance for admission. 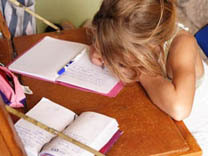 In addition, a financial contract (guarantee form) must be signed by parents. ie address or telephone number. Parents who wish to withdraw their child/children during the year must notify the school administration. A portion of the fees paid may be refunded as per the financial contract (guarantee form). The tuition fee payable differs according to the grade level a student is registered in. Parents may request the tuition fee rates from the School Accountant or the Office Manager. 1st payment to be made on registration. 2nd payment to be made before the beginning of the academic year. 3rd payment to be made by the end of November 30th of each year. 4th payment to be made by the end of January 31st of each year. 50 R.O. Application Fee (paid once when registering a student and non refundable). Transportation (optional) Bus Fee as per residential location.